Ever wonder how users on instagram creating meme videos. How is Daquan working his magic. The questions that comes to your mind are. Where are they finding all their content from? In this blog I will talk about both of these presidenting question. Where are all those trending videos coming from? Here are all the sites where you can find all the trending content from, and we will go over how we can download and reuse this content. Browse the content you like, and click the video that you want to download. Once on the page click “Save Video As” and save the video to your desktop. Browse the video that you like, since most of the videos that are upvoted on reddit are sourced from youtube. You will need to use a tool called Savefrom, copy and paste the link you want to download and save the video your desktop. Creating video memes from the all the trending videos you have downloaded. First thing is first Sign up for Blurbiz. Now upload your video directly to your new project. You can even upload Image and GIFs that you can turn into memes. Once you have uploaded your video, hover over and click the “Edit” button. Select the size of the video you want to create from Square, Vertical, and Horizontal. You can instantly crop your video for the perfect ratio. Don’t let your video get cut off, click the reposition button to fit or crop them to your ideal dimension. 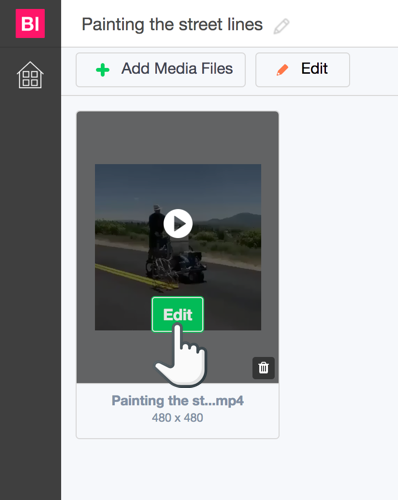 Click the text icon on the top left column, Drag and drop the heading on top of your video. Set your desired position and you can easily change your font option. From size, style, color, spacing and more. Just hit “Complete” on the top right corner. And you are done. You can now download your video meme in mp4 format.